What is the difference between you and the other ticketing systems? Answer: We define our service as a complete organiser tool, not just a ticketing system. As an organiser tool, TicketCo is meant for all types of events, regardless of size, type and frequency of the event. TicketCo is also the only ticketing system in the world where the card terminals used for physical sales, for instance at door sales, is fully integrated. Which results in the end of the tedious process of entering goods, polls and more work. With TicketCo, after the event, you will get a full report of pre-sales, door sales and item purchases; all in one report. Do you have to print the tickets? Answer: No, the audience can choose if they want the tickets on their phone, or a print out of the ticket. How do you handle door sales? Answer: Door sales are done through our free TicketCo organiser app which, together with an iZettle terminal, serves as a “cash-register”. The ticket buyer uses their card the same way they do at the shop, and can be quickly be checked in there and then. If he/she wishes to receive a voucher/ticket, they can provide their phone number or e-mail address and receive it immediately. How much does it cost to use iZettle? Answer: The cost of utilising iZettle is already included in TicketCo’s price plan, and so there are no additional payment to iZettle. How do you scan the tickets? Answer: They are easily scanned using our free organiser app. This solution eliminates the need for costly scanning equipment, enabling equally effective access control and goods delivery with either an Android device or iOS device from Apple (iPhone, iPad, or iPod Touch). Does the audience need to have an app to purchase/use their tickets? Answer: No. The audience can quickly and easily buy their tickets and items from any web-browser, on their phone, tablet or PC. Are we as an organiser big enough to use TicketCo for our event? Answer: Yes, of course! TicketCo the organiser tool is designed for all types of events and organisers, regardless of size, type and frequency. A percentage charged per order, that will never exceed 6%. Note: an order can contain 1 ticket, or 10 tickets. The percentage differs depending on the order value and is listed on our pricing page. A very small set fee per order of 30 pence. This covers the transaction cost. The cost can be absorbed in your ticket price or you can pass them onto the ticket buyer. This is completely up to you. Can we add various discounts to events? For example early bird tickets? Answer: Yes. TicketCo has its own discount feature that allows you to set different “rules” that enables discounts in the form of pounds or percentages. The three different rules the feature supports today is earlybird (discount governed by purchase date), the number (discount based on the number of tickets/items being selected), and the sum (discount that hits after the basket reaches a given total amount). How is it possible to sell tickets on Facebook? You can share the event page unique URL link, which leads to the full event page at TicketCo in a new tab/window. You can easily apply a so called iFrame from TicketCo onto your Facebook page, also called “native implementation”. This embeds your list of events neatly into a new section you create that will be visible on the left hand side bar. We recommend calling it something prominent like “Buy tickets”. This makes it look like your events is entirely integrated into your Facebook page. Each of your events will show the “Book now” button, taking the user straight to the checkout for that specific event. We deeply recommend using this functionality and we are happy to assist you in how to implement it! By using Facebook’s shop functionality you can also create your own “Shop” section. Here you can list both your tickets, such as season tickets or 2-day festival pass, and also your merchandise, food and beverage packages, accommodation packages and so forth. Do you require a special printer to sell tickets on the door? Answer: No, every organiser decides themselves if they want to offer a physical copy of tickets. If one wishes to receive their tickets/receipt after paying on the door, its easily done by sending a digital receipt by text or e-mail. Does TicketCo tickets work on every phone? Answer: Yes they do. All tickets/vouchers from TicketCo can be opened from text or via e-mail, as well as via browser or by Wallet/Passbook. Does the TicketCo organiser app work for verification on all phones/mobile systems? Answer: Yes. The TickeCo organiser app for verification is available for both iOS- and Google’s Android systems. This makes it very easy and effective for you as an organiser to have as many devices as you wish, to achieve a fast and safe entry. When do you get the settlement for the ticket sales? Answer: In TicketCo we have two payment plans. Weekly payments or payments after the event is finished. Unless otherwise agreed with one of our representatives, you will receive the settlement when the event is over. One can apply to the finance department to receive the funds in advance. Can I sell other things via your system other than tickets? Answer: Yes. With TicketCo the organiser can put different items on sale excluding tickets, for instance food and beverages, effects, accommodation and transport. The items can be sold individually, or as retail sales related to ticket sales. Each item can also be labelled with the current VAT rate, so that it is reflected in the sales report. Do you offer wristband/stamps for the audience after their tickets have been scanned? Answer: No, this is not something we offer. We already have an iZettle terminal, can this be used with TicketCo? Answer: Yes. As long as the iZettle terminal is connected to an iOS device (iPhone/iPad/iPod Touch), and one has installed and enabled iZettle in the TicketCo organiser app. Does it cost extra for door sales in your system? Answer: No. Since all sales with TicketCo – both online and onsite – are in the same system, it is also in the same price plan. This makes it easy for both you as an organiser and your audience to know what your tickets and goods cost. I see that you offer gift cards, can they be used on all events? Answer: Giftcards in TicketCo are linked to specific organisers, and can easily be used for all of your events sold via TicketCo. You can read more about it here on this blog post. Can I create private tickets in your system? For instance VIP-, sponsor- or internal tickets? Answer: Yes. With TicketCo you can create hidden events, as well as hidden tickets and merchandise using our promo code feature. Can I pay via invoice with your system? Answer: No, not as of today. TicketCo cooperates with many different organisers across industries, and because of that it requires many different invoice routines and systems. Until we have the optimal solution for as many organisers as possible, we currently only offer the opportunity to generate admin-sales tickets that one can bill with their own routines. In our reports, these admin-sale tickets can be labelled with settlement type invoicing for reporting purposes. What type of reports can I retrieve from your system? Answer: With TicketCo you have ongoing control over both sales and use of tickets and goods, as well as the cash flow. By signing in to the system, you can see the complete event reports for each event you enter into the system. You can choose whether you want to run reports of sales per day, sales by arrangement, product types or settlement types. The reports can be generated in HTML and XLS formats. How does the delivery of items such as food and beverages purchased through TicketCo happen? Answer: Redemption, control and delivery of goods is made easily through TicketCo’s organiser app. The app helps those who operate the kiosk, bar or merchandise shop to have control over what is ready to be handed out and what already has been collected. Verifying the purchased goods is done in the same simple and secure manner as with our tickets; QR code, reference number or name. Does the system support seating/arena maps? Answer: Yes. The TicketCo system offers mobile-friendly seating maps that work on all devices. The seating maps also support different price ranges. The seating maps are produced by us, free of charge, according to your specifications. What type of information can I post on my pages? Answer: When creating events on TicketCo you have access to an easy-to-use editor, with features that will be known to anyone who has ever used programs such as Microsoft Word. Here you can design texts with different fonts and sizes, add pictures, video clips, links and tables. In addition to this, our system also has a sponsor feature that allows you to add logos, descriptions and links to your event pages. Is it us or you who put our tickets up for sale? Answer: TicketCo was created with focus on simplicity and this also applies to the process of posting event information and related ticket- and merchandise sales. With the self-service system, you can at any time create and update your events, without having to go back and forth with us as the supplier. How easy is it for us as an organiser to use your system? Answer: Our slogan is “Events made easy”, and easy is the keyword here. TicketCo can be used by all organisers – whether it is a senior choir, cultural centre, festival or sports club – and for everyone no matter what technical skills they have. We say that if you have ever used a program such as Microsoft Word, you are already on your way to master TicketCo. Furthermore we say if you have ever used Facebook in any way, you are then halfway to be a world champion in TicketCo. Thus, or system is very easy for you as an organiser to use. 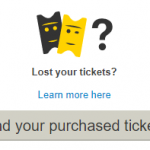 Is it easy for our audience to buy tickets through your system? Answer: Its very easy, both online and in person. When buying online for instance, there is no need for unnecessary user accounts and keeping track of username and password. By doing this, one avoids the loss of customers that do not remember which email or username was used, or they cannot reset an old password and therefore can’t access their account. Does TicketCo work with Paypal/mobile payments? Answer: As of today, no. As soon as services such as Paypal and others integrate with our international payment provider, one will be able to choose Paypal (and numerous of other services like this) as the desired payment form. Is it possible to send messages to everyone that has bought tickets? Answer: Yes. TicketCo has its own “contact ticket buyers feature” where it enables you to send emails to everyone who has purchased tickets. This can be used to inform the ticket holders about things related to the events, such as parking, transportation tips, meeting time, etc. Do you use any of our customer data? Answer: No, in TicketCo it is your events, your sales, and thus, your customer data. Can we collect information other than the information you require (name, email and/or phone number)? Answer: Yes. Our system has its own questionnaire feature that allows you as the organiser to collect the desired information from each ticket buyer, such as diet requirements, how they heard about you, t-shirt size or where they were travelling from. You decide yourself what response options will be available, for example. text box, drop-down list, or checkbox, and whether or not the questions are mandatory to complete the purchase. What do we do if we have to cancel our event? Answer: If that were to happen, contact our support team that will help you with the process of refunding any tickets sold. What do we do if a ticket buyer lost their ticket? Answer: Then you can easily direct the ticket buyer to our events listings website and use our ticket tracking service called “Find your purchased tickets” to receive their ticket(s) again. How do we as an organiser pay for your services? Do you send us an invoice or is it settled by our ticket income? Answer: When paying out your sales, TicketCo will settle your payment, so you as an organiser does not have to be billed. Does your system support reservations? Answer: Yes, TicketCo supports the creation and redemption of reservations. Does your system support season tickets / memberships / festival passes? Answer: Yes, both digital and physical. These can be used both online and physically at the event. Can we send out newsletters via TicketCo? Answer: Not directly from the TicketCo platform, however, our system supports Zapier integrations that allows our platform to easily converse with over 750 different tools- including the popular newsletter-tool, Mailchimp. Can TicketCo be used for free events? Answer: Yes! Both the system and the pricing plan is designed so one can use TicketCo for free events and with free registration. If you do not charge for your event we won’t either, and you are free to utilise all the TicketCo core features without limitations. I run events as an individual, can I sell tickets? Answer: As a company we have the obligation to make sure the clients we work with have registered business entities that pays tax in the UK. We therefore always ask for the registered business entity, such as company number. If you’re an individual selling tickets you can easily register yourself as a sole trader with HMRC for tax purposes – please visit this link for more information: https://www.gov.uk/set-up-sole-trader.